Giving Antibiotics To Healthy Kids In Poor Countries: Saving Lives Vs. Fear Of Antibiotic Resistance : Goats and Soda Researchers administered doses of azithromycin to 190,238 children in sub-Saharan Africa. The death rate dropped, but fear of antibiotic resistance looms. Every day, 15,000 children five years old or younger die of preventable conditions diarrhea and pneumonia. In 2016, that number added up to 5.6 million children, most of them in the developing world, according to the World Health Organization. What if a simple intervention could save tens of thousands of those children? Seems like a no-brainer — unless the method used to save them puts tens of thousands of others at risk in the future. That's the dilemma presented by a paper published Wednesday in the New England Journal of Medicine. 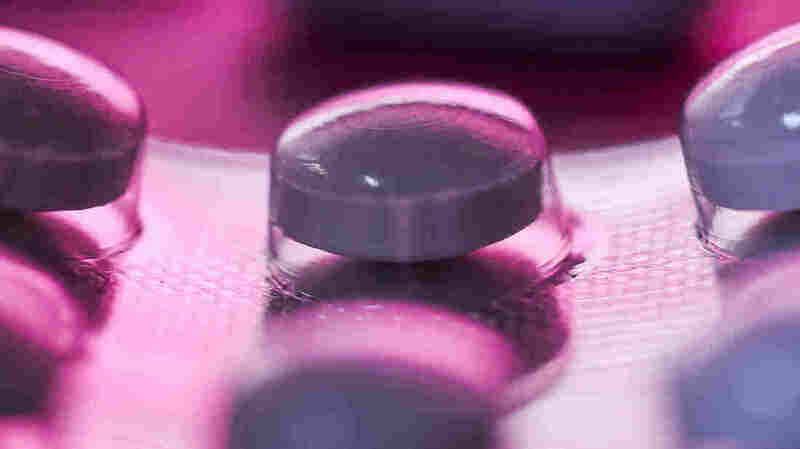 Researchers enrolled 190,238 healthy children and, over a period of two years, gave half of them four doses of the antibiotic azithromycin and half of them a placebo. The children lived in three sub-Saharan countries: Malawi, Niger and Tanzania. The results showed a 14 percent reduction in deaths among children age five and younger who received the antibiotic, though the researchers don't know exactly why the antibiotics had this effect. In Niger, a country with one of the highest childhood mortality rates in the world, the success was even more dramatic: antibiotic use reduced deaths in children under age five by 18 percent. But there's a potential trade-off. Giving antibiotics to a community of healthy children could eventually result in a number of diseases becoming resistant to those drugs. "We're taught not to give antibiotics when kids aren't sick, and here we're doing just that," says Dr. Thomas Lietman, ophthalmologist at the University of California at San Francisco and senior author of the paper. "This study is outside the box — and we found it reduces childhood mortality." Antibiotics have been saving lives since the development of penicillin in the middle of the last century. But for the past couple of decades, scientists have become alarmed because overuse causes bacteria to evolve in ways that make specific antibiotics lose their effectiveness. So for years, the medical community has been urging doctors and patients to use antibiotics sparingly, to avoid giving them to healthy people and never to use them for conditions the drugs don't help, like the common cold. Deliberately giving antibiotics to healthy people is rare, though not unprecedented, in medicine. But there are cautionary tales. Since the 1990s, for instance, the antibiotic ampicillin has been given to pregnant women who are not themselves sick but who test positive for group B Streptococcus (GBS), says Dr. Aaron Michael Milstone, pediatrician and epidemiologist at Johns Hopkins School of Medicine. He is not associated with the new study on children. GBS can be fatal if transmitted to the infant during labor and delivery. It once infected thousands of babies every year in the United States. Ampicillin during labor blocks transmission to the baby. Now, the number of infants born infected with GBS has gone down dramatically, dropping from from 7,600 in 1990 to 2000 in 2012, according to the Centers for Disease Control and Prevention — but at a cost to public health. In some places, ampicillin has lost its effectiveness against E. coli. "It's because we give it to so many moms," Milstone says. "That was the trade-off." Another such practice of giving antibiotics to healthy people, in fact, provided the basis for the NEJM study. A long-standing project in Ethiopia gave azithromycin to communities of healthy people to prevent trachoma, a disease that leads to blindness. It worked to prevent blindness but researchers also noticed that fewer children were dying in the communities that received the antibiotic. So researchers decided to further test the potential of antibiotics to save the lives of impoverished children in Africa. Their study shows that it worked. "Here we have an intervention that's relatively simple" says Dr. Rasa Izadnegahdar, a deputy director in the global health division of the Bill & Melinda Gates Foundation, which supported the research (and is a funder of this blog). "We don't think of it as a stand-alone, but rather integrating it into other childhood mortality reduction efforts." Should this kind of community-wide intervention be applied in those pockets of the world where child mortality remains stubbornly high? "That's a tough one," says Lance Price, professor of public health at George Washington University and founding director of the Milken Institute School of Public Health's Antibiotic Resistance Action Center. "The upside is you're immediately saving lives," says Price, who is not associated with the study. "But you're doing it at the risk of not being able to save lives in the future. It's really hard to argue against saving children's lives. But there's a risk of saying to the world, 'We can fix this problem with a quick fix of antibiotics.' It's the wrong message when we're reaching a crisis of antibiotic resistance." Giving antibiotics to healthy children is, at best, a stopgap measure to use in areas with extremely high childhood mortality rates, says Ramanan Laxminarayan, director of the Center for Disease Dynamics, Economics and Policy in Washington, D.C. Laxminarayan is not associated with the study. "We rely on azithromycin for STD [sexually transmitted disease] treatment. It's our last line of defense for gonorrhea," he says. "We can't afford to lose azithromycin. This is not a game that can be played forever." The world needs to push harder to eliminate the root causes of high childhood mortality, says Price. "The fundamental problems are lack of sanitation and clean water, and malnutrition," he says, as well as lack of vaccinations and no access to health care. Giving antibiotics to prevent death under those circumstances is "like putting a band aid on a much larger problem." Antibiotics are seldom used in some of the poorest and most remote corners of the world, says Dr. Charles Knirsch, vice-president of Pfizer Vaccines Clinical Research. Pfizer makes azithromycin and donated the medication to the study. It's possible that resistance would be less of a problem in those areas. "In areas of very low access to antibiotics, there are very low levels of resistance," Knirsch says. "The risk has to be considered. But it's a very low risk." People who normally wring their hands and tear at their hair in frustration at signs of antibiotic overuse find it hard to argue against the compelling results of the new study — 14 percent fewer childhood deaths in some of the poorest areas of the world. "I believe in being judicious about antibiotic use," Milstone says. "What I'm most conflicted about is that in the U.S., it's easy to say we shouldn't be using antibiotics in an indiscriminate fashion because it will increase resistance. But when you think about a setting where there's malnutrition, no clean water and no sanitation ... that may be naive of me."